Looking to see how a sports bracket look like with five tournament teams? 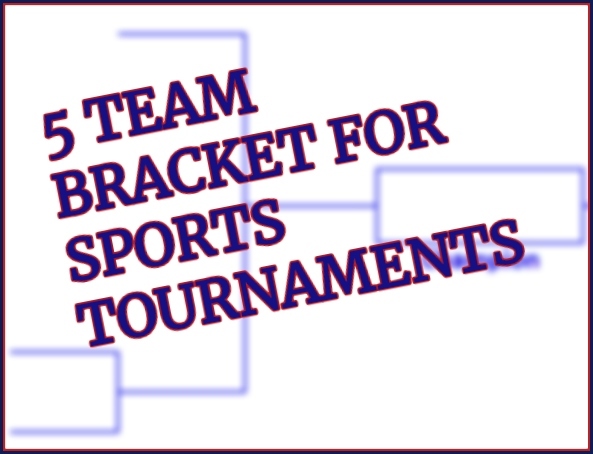 You’ll need a single-elimination 5-team bracket template that you can download and print out for the tournament teams, their friends and family. A bracket is the best way everyone can accurately follow along and see the broader tournament field. You’ll find that our brackets are printable in a handful of layouts and formats. We’re the one-stop shop for brackets. 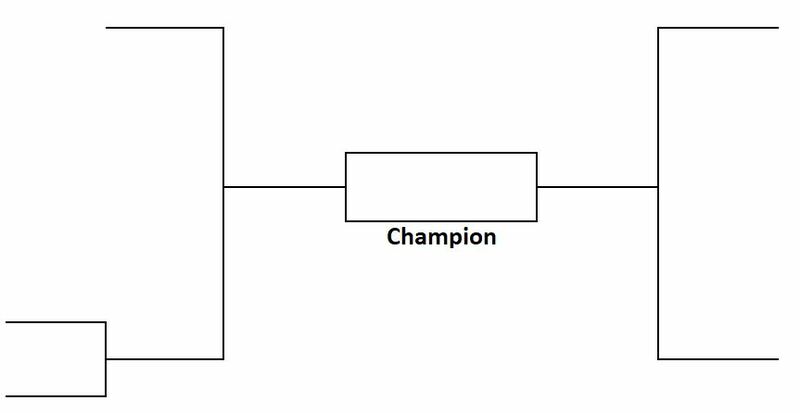 Five team single elimination tournament brackets don’t advance or work out as smooth as brackets starting with 4, 8, 16, 32, or 64 teams. That’s because with 5 teams, there’s an odd number of teams and that means there has to be a play-in game. So that means seeding becomes all the more important as the #5 and #4 seeds will have to play an additional game if they hope to have a chance at the championship. With any of our sports brackets, you can not only print them out for soccer or cricket or rugby. Don’t limit yourself. Our brackets are blank so just as long as your tournament is single-elimination then get to downloading and printing out. Thousands have downloaded and printed out our brackets over the years, so why not you? If it’s PDF you’re looking for, then first ensure your Adobe Reader is up to date so you can easily view, print and edit our bracket. If you’re like to further edit and customize the bracket, like adding in seeds, teams or logos, dates and times, and locations then please download and the Microsoft Word to properly edit and fill in your tournament’s information. 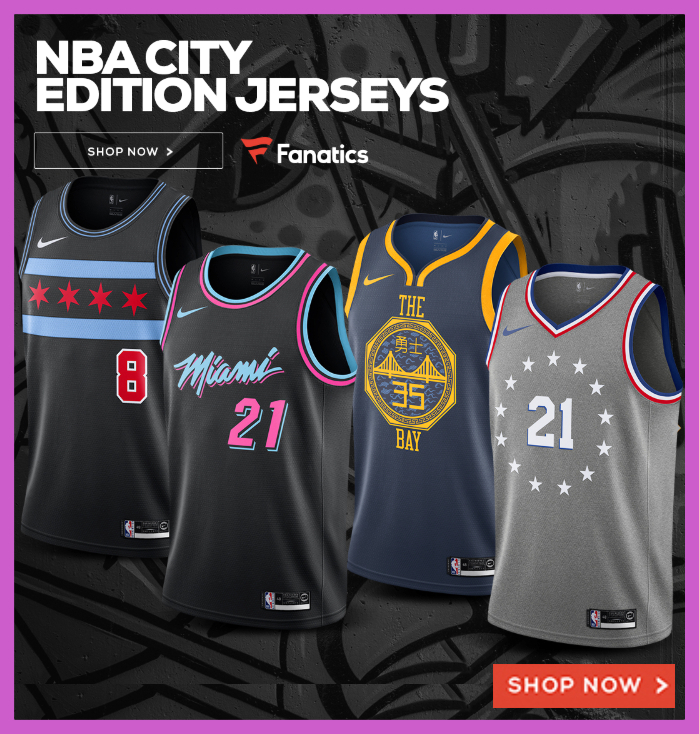 Our printable brackets are good every type of team sport including: baseball, basketball, cricket, football, hockey, lacrosse, rugby, and American soccer. These brackets can be also used for individual sports such as tennis or wrestling.